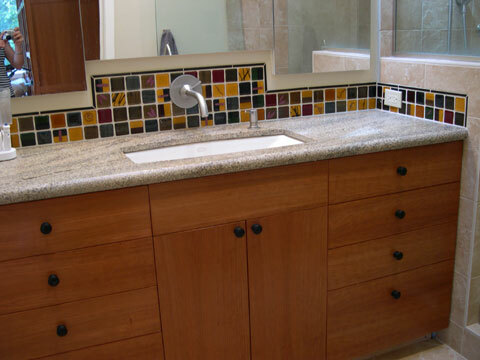 Backsplash, tub surround, fireplace, range- top backing, or floor embellishment. It’s all in the details. 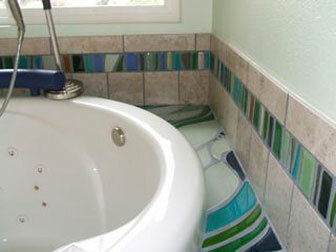 Glass tiles are the thing to enliven a design predominantly utilizing marble, stone or ceramic tile. Or, go all out and use only glass for a rich, jewel-like look. 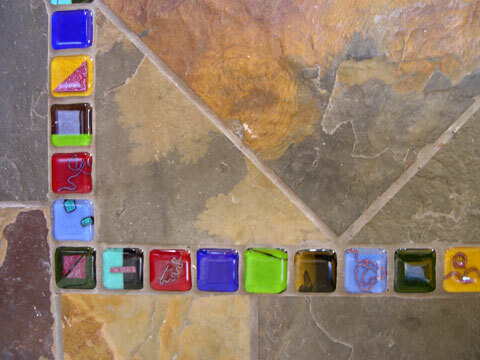 In tile installations, Christine has created subliminal “rugs” by outlining a square or rectangular space in a slate or tile floor with glass tiles. 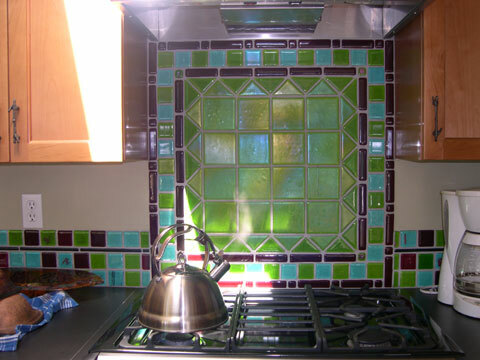 Glass tile accents create a rich depth of color and present unlimited design/pattern possibilities. 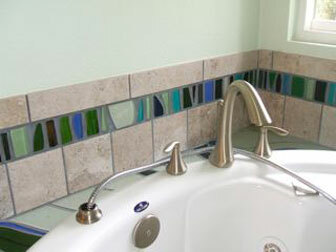 Glass tiles are durable and easily cleaned with typical household products. Yes, you can walk on glass tiles. They wear well and will not break under typical home /business traffic. Since most glass tiles are clear, take care to hire an installer experienced with glass tile or with enough experience and skill to do the job right. 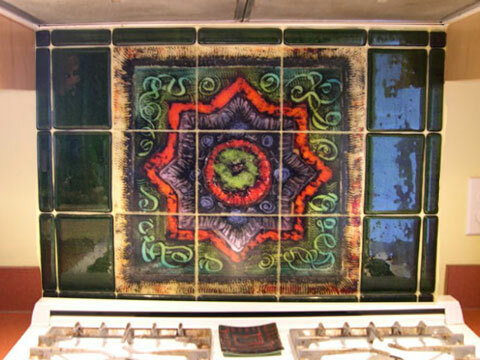 Glass tiles need to be installed in white thin-set with liquid acrylic additive to show off the color & design of the tile. 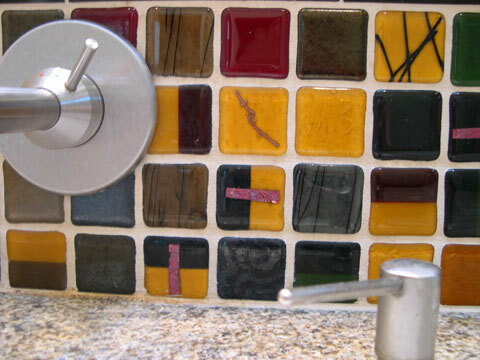 Each tile must either be back buttered & carefully set in place, or swiveled back & forth into position so that no bubbles are formed and no trowel marks are showing. 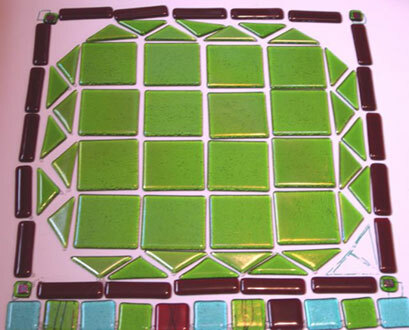 Tile installation experts tell me this type of glass tile works best with a wider grout space between each tile. A space of 3 or 4 millimeters is typical between tiles. 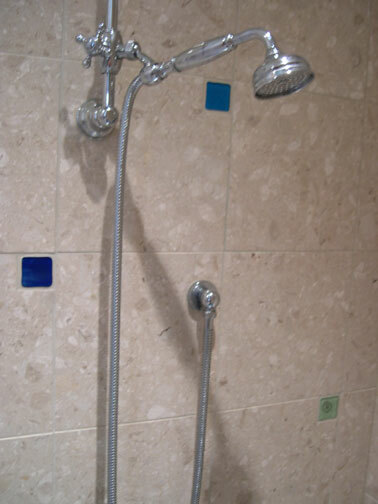 Sanded grout is usually recommended for tiles set with the larger grout lines. I like to use a greyish or cement color for a non-descript, earthy backdrop allowing the tiles to show their brilliance. It’s not really that difficult. 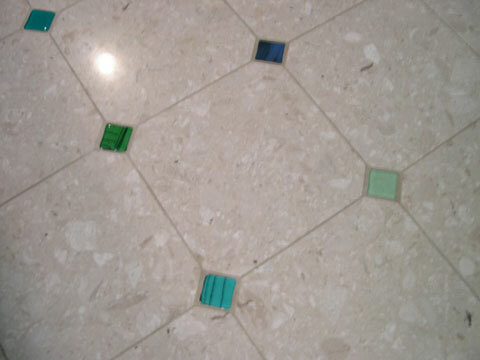 An installer with an eye for detail and quality can successfully install glass tiles with perfect results.